Seven men have been arrested, and seven dogs and two vehicles seized after what police describe as a 'series of incidents' of hare coursing across the county today (Thursday). Seven men have been arrested, and seven dogs and two vehicles seized after what police describe as a ‘series of incidents’ of hare coursing across the county today (Thursday). The force attended several reports of the crime taking place in Billingborough, Swaton, Swineshead, Sutterton, Fosdyke and Moulton this morning, resulting in four men being arrested in the Grantham area. The men are from Bristol, Coventry, Desborough and St Albans. A Subaru Forester has been seized and a dog that is suspected of being abandoned has been taken and is being cared for. 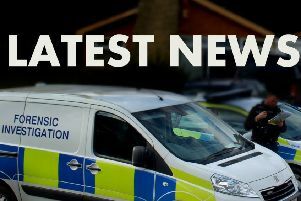 In a separate incident, police say a report of hare coursing in Tillbridge Lane, Scampton has resulted in two men from Rochdale and a man from Cheshire being arrested. In this instance six dogs and a Hyundai Santa Fe were seized. The force says that all of the dogs which have been seized are being cared for in approved kennels and an application will be made to the courts for the dogs to be forfeited and re-homed as part of any sentence. Following the news Chief Superintendent Mark Housley said: ‘This demonstrates the challenges we face with hare coursing taking place in disparate parts of Lincolnshire and our commitment to tackle it. It also shows that people travel from all parts of the country to take part in hare coursing. Anyone can report hare coursing to the Lincolnshire non-emergency number 101, or 999 in an emergency.